The Carl Brashear mug is part of a biographical series profiling African Americans who shaped the history of the United States of America. An image of Carl Brashear and a short biography are features of this history mug. This David Farragut mug is part of our collection of Civil War biographical mugs. An image of David Farragut and a short biography are features of this history mug. 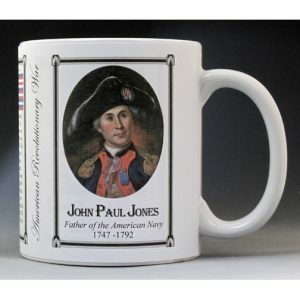 This John Paul Jones mug is part of our collection of American Revolutionary War biographical mugs. 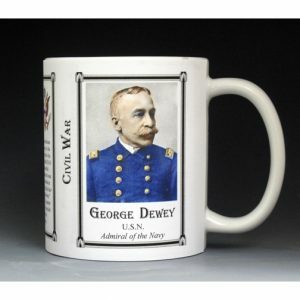 An image of John Paul Jones and a short biography are features of this history mug. This James McHenry mug is part of our collection of US Constitution biographical mugs. An image of James McHenry and a short biography are features of this history mug.